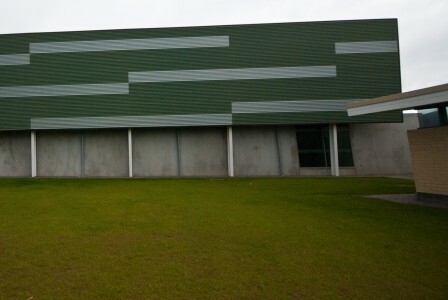 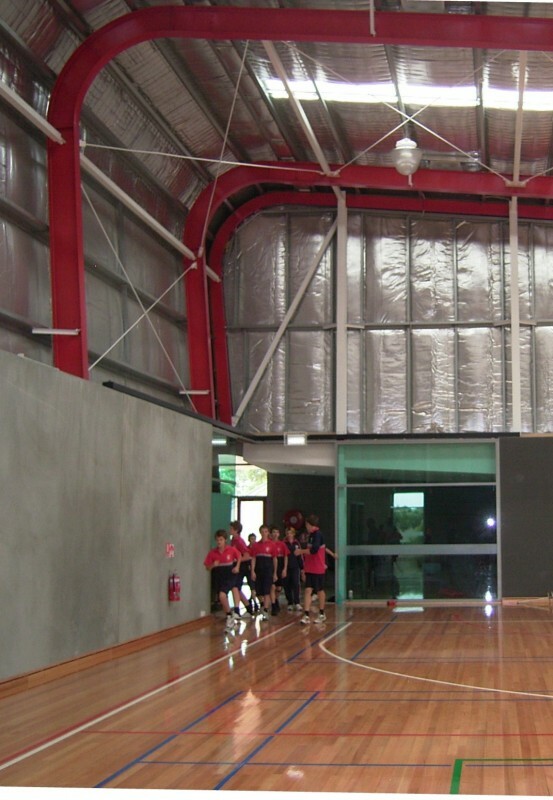 The gymnasium is a key facility on this R-12 school site and accessible to both senior and junior year students. 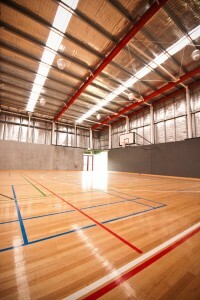 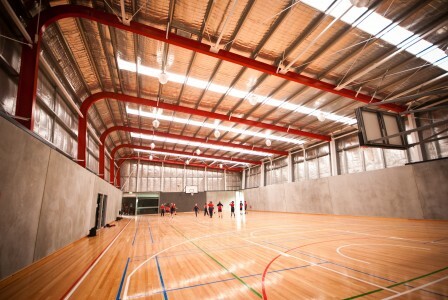 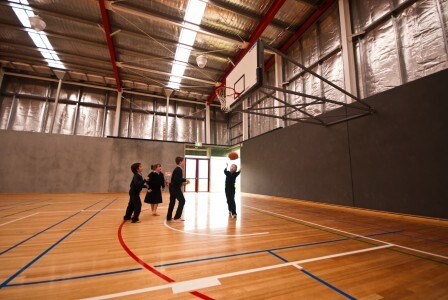 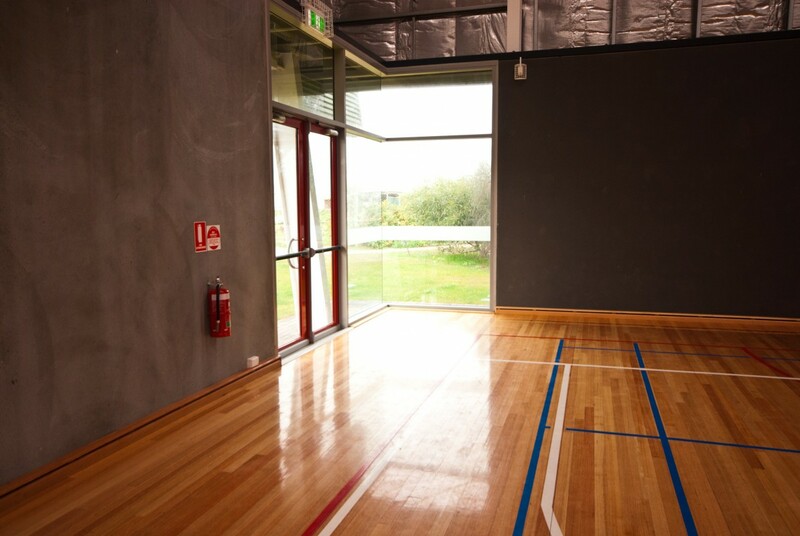 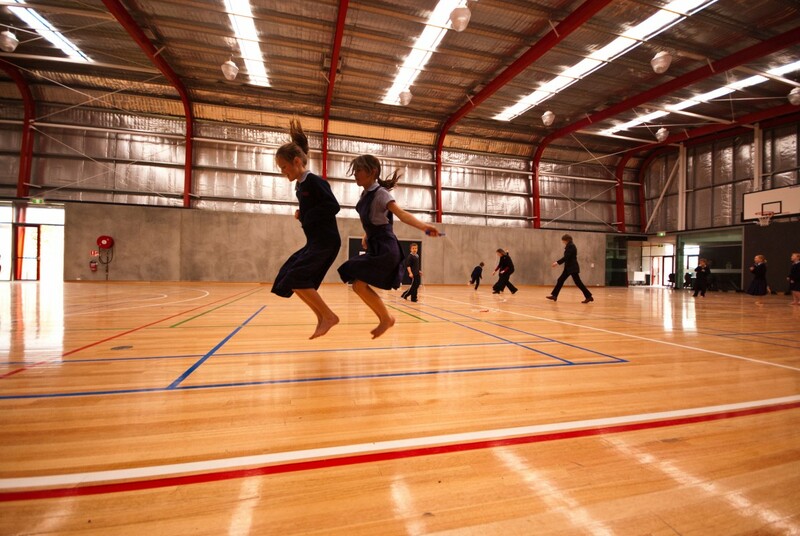 Providing a single netball court sized space with generous runoff around the perimeter, the playing surface is a fully suspended sprung timber floor. Court marking provide for a variety of tam sports including basketball, netball, tennis and badminton. 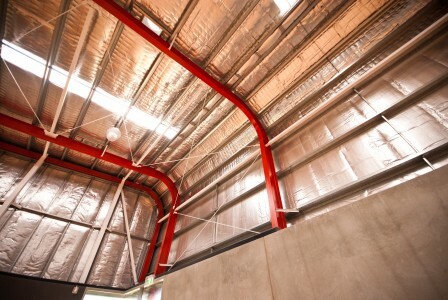 The corners of the building a glazed bringing natural light from ground level and combined with the strips translucent roof sheeting, daylighting is adequate on most days for normal use. 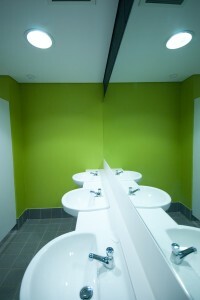 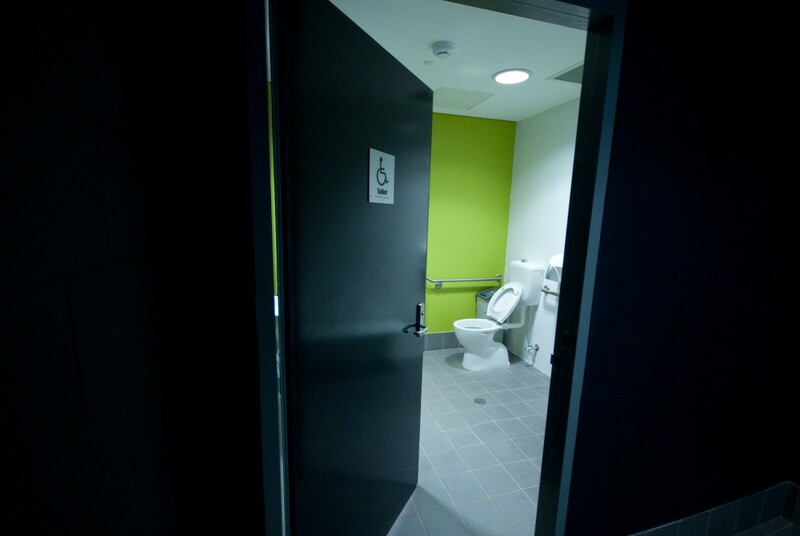 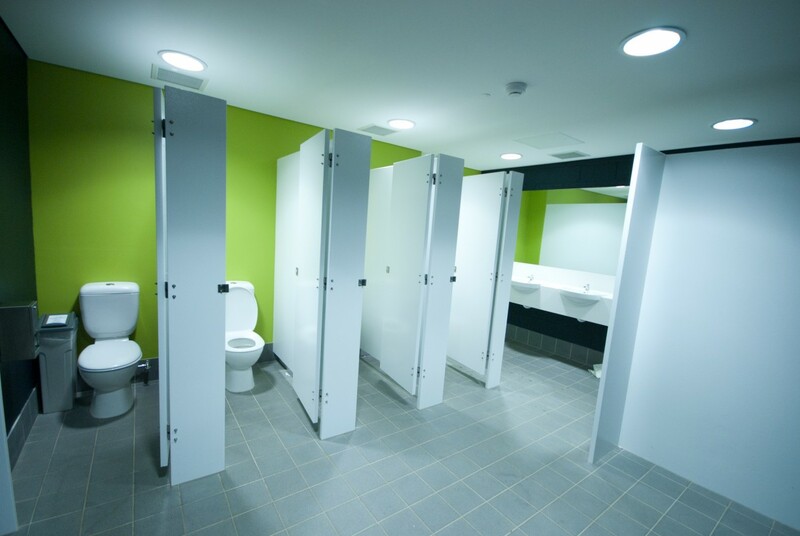 Storage is provided along one wall, change and toilet facilities are access off the main entry foyer. 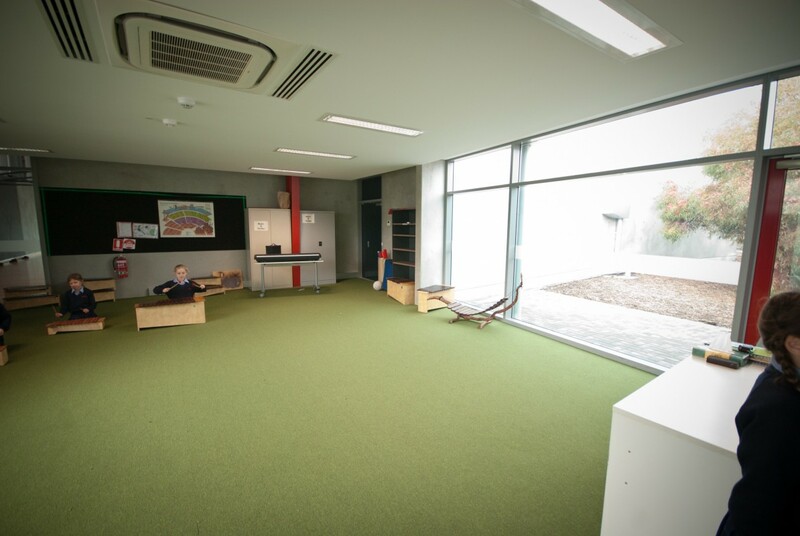 A large classroom, also accessed from the foyer provides an excellent space for health and PE with direct access to the stadium to balance theory with practice. 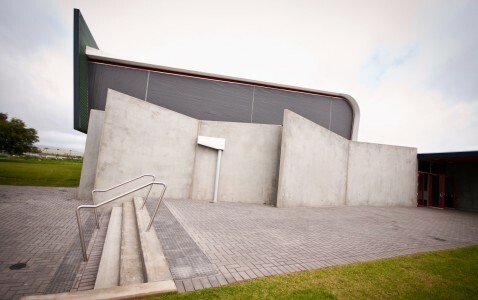 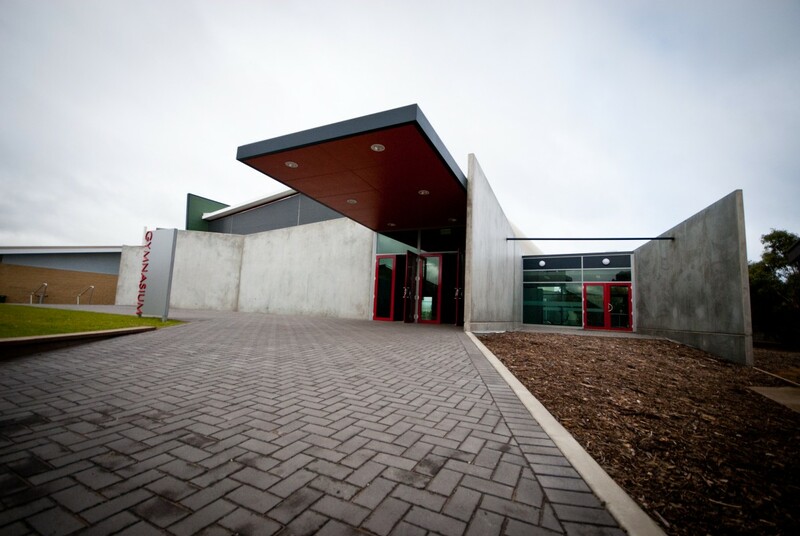 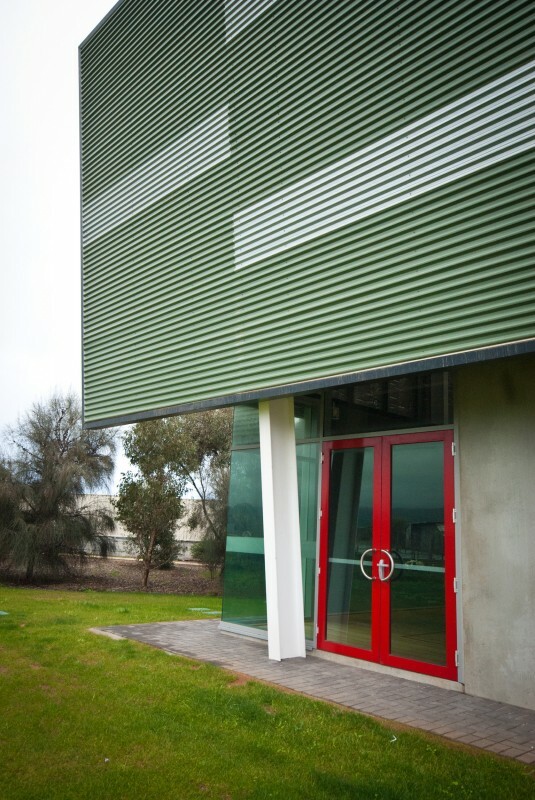 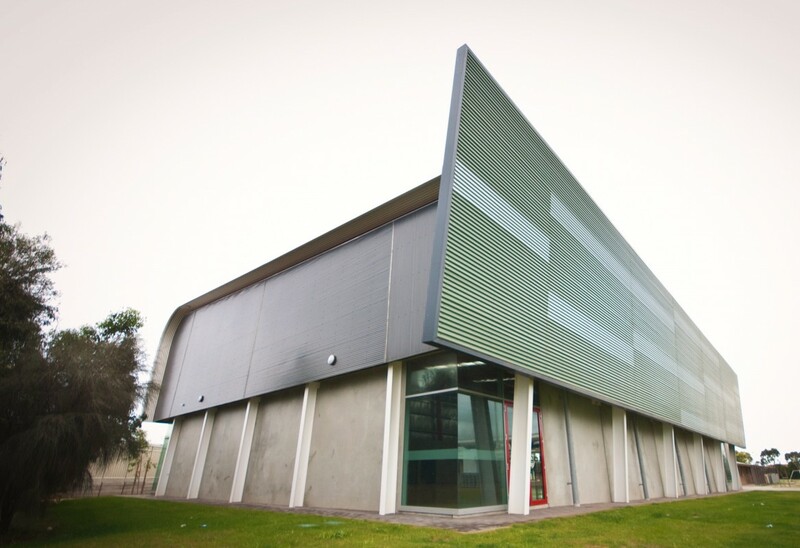 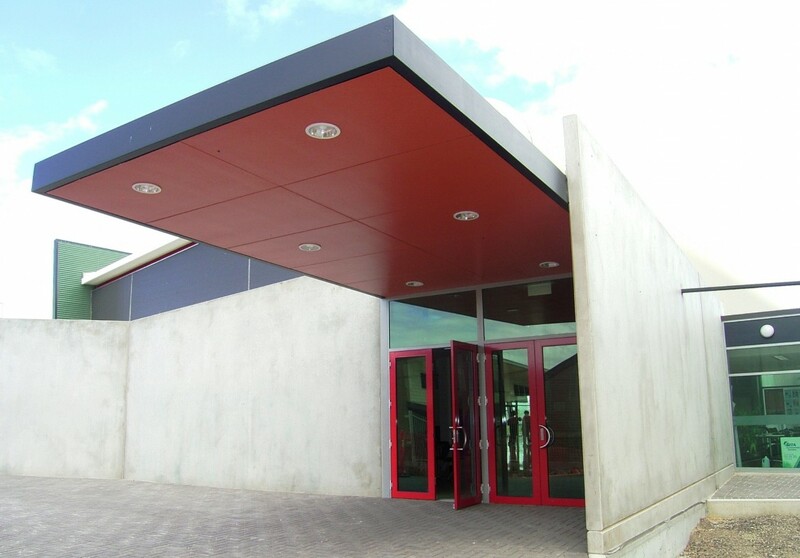 The mix of tilt-up concrete walls for durability at court level and the lightweight metal wall and roof cladding above 3metres allows the building to cool overnight. This self contained building, has the combination of a fully suspended timber floor and change facilities, and is consequently much sought-after by outside sporting and community groups, providing a useful income stream. This is a beautiful and very functional addition to the campus and is in constant use through the day.